We tagged along with our goddaughter, Keira B., and her big sisters when they went to pick wild strawberries in their Nana’s big backyard in Central Maine a few years ago. Strewn about were tiny bright red berries peeking out of vibrant green clusters of leaves. Like they were on an Easter egg hunt, the little girls delighted in their discoveries and put their precious finds in a bowl. Sometimes their family would be able to pick bucketloads of wild strawberries, can them and send us jars of preserves. We don’t live near a strawberry farm or field so we “pick” strawberries at our local grocery store. 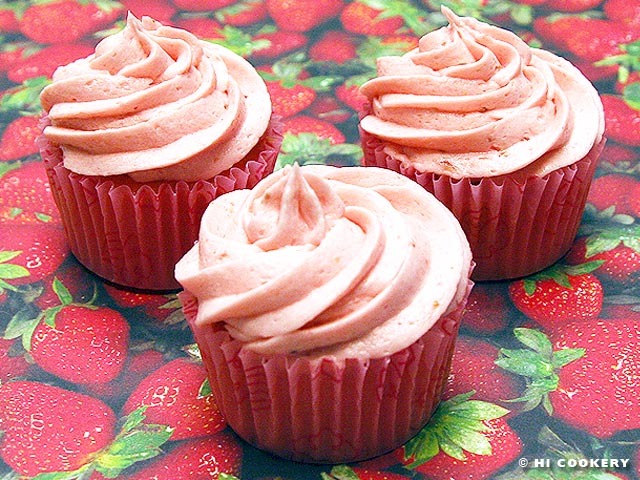 And we picked a recipe for strawberry daiquiri cupcakes with strawberry buttercream to blog about on Pick Strawberries Day (and National Strawberry Month). Grate the peel of one line. 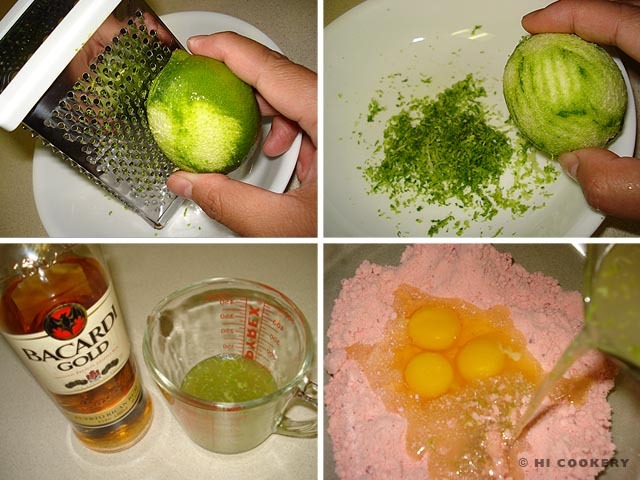 Squeeze the juice from the grated lime and from another lime in a liquid measuring cup. Mix in the rum. Add enough water to equal 1 1/3 cups of liquid. Combine the liquid with the cake mix, eggs and oil. Mix until the ingredients are blended into a smooth batter. Scoop into muffin tins lined with cupcake papers. Bake in a preheated oven at 350 degrees F for 12-15 minutes. Remove from the oven and let cool. Prepare the frosting. 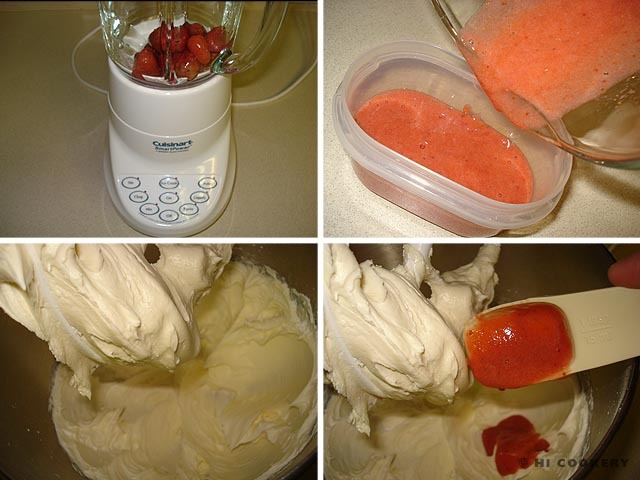 In a blender, puree the strawberries. In a mixing bowl, cream the butter with a pinch of salt. Gradually blend in the powdered sugar until well combined and fluffy. 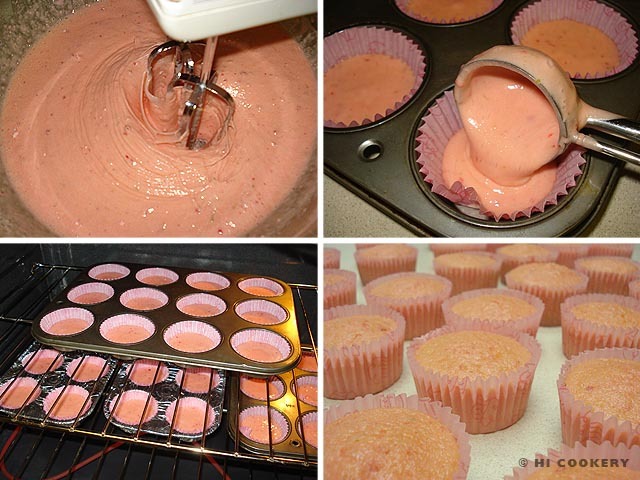 Mix in 3 tablespoons of strawberry puree (reserve the rest for another recipe). Stir in the vanilla. Add a few drops of red food coloring to get a light shade of pink. Mix well until it is a smooth consistency. Frost the cupcakes. We used Wilton tip 1M for a decorative swirl on top of the cupcakes. Refrigerate to set the frosting. 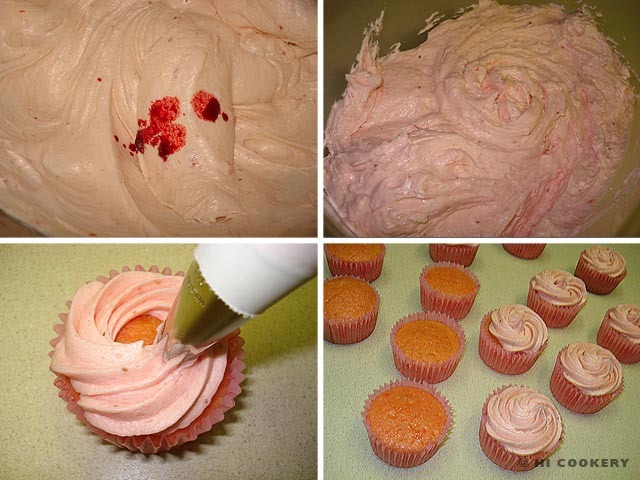 Allow the cupcakes to come to room temperature before serving. We made strawberry macarons filled with strawberry buttercream (half of the above frosting recipe). Celebrate strawberries with a food holiday. Dates are listed on Gone-ta-pott. Search our blog for other posts about recipes using strawberries as an ingredient.